Who Does the British Airways Credit Card Appeal to Most? Decision Time: Is the British Airways Credit Card Right for You? If you are a person who spends a lot of time on airplanes, then you should really think about getting an airline-based rewards credit card. When you spend a significant amount of money each year on airfare, it makes sense to ensure that you are rewarded for it. As of now, there are a plethora of different airline credit card options on the market. Finding the best one to suit your specific needs may not feel easy if you don’t know where to start looking. Today we are going to be taking a look at the British Airways credit card. This is a credit card that offers cardholders some interesting rewards options and it has worked out very well for certain people. It has positives and negatives just the same as any other credit card on the market. If you spend a lot of money on airfare and if you are flying to the right places that will make this card useful to you, then it might be a good fit. 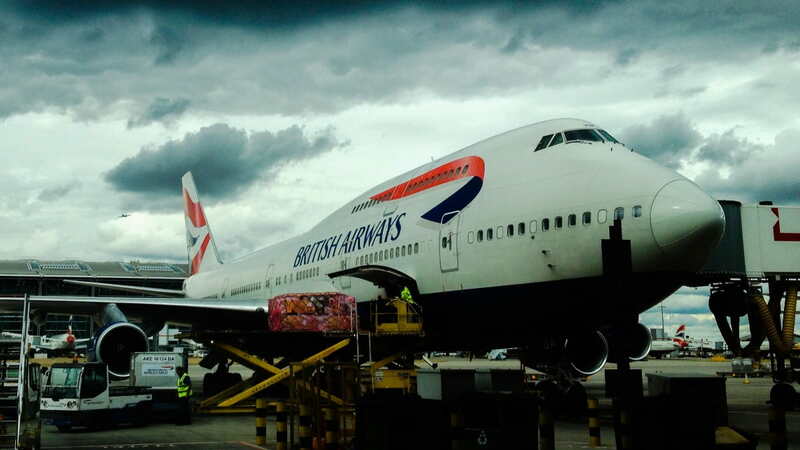 Join us as we review the British Airways credit card in an in-depth fashion. We will look at all of the particulars so that you can get a good idea of whether or not this one is going to be worth your time. Part of this is going to depend on where your airline loyalties are placed but it is very much worth looking into no matter what. Taking a little bit of time to inform yourself can ensure that you will be able to make the best decision for your wallet. You'll earn 4X points per dollar spent in your first cardmember year (up to $30,000 in spend). That's up to 120,000 points. Earn a "Travel Together" companion ticket after spending $30,000 in a calendar year. After year 1, earn 3X points on British Airways purchases. If you plan on spending $30,000 on this card in the first calendar year, it's very valuable. You'll earn 120,000 points and a companion ticket. Otherwise, it's an overrated credit card with the current introductory offer. When it comes to picking out an airline rewards credit card, you want to make sure that you are getting a good value. The rewards program is where you will be focusing a lot of your attention but it is important to consider the fees as well. If the fees of a given credit card are too high, then you might end up wasting more money than you are bringing in. Thankfully, the fees of the British Airways Credit Card are fairly middling. You will be paying a $95 annual fee when you sign up for this credit card. This falls right in the middle of the pack in terms of credit card fees for an airline-based rewards card. It is not overly high but it still may be high enough to give certain people pause. Keep it in mind if you are the type of person who really gets soured on credit cards when they charge annual fees. There are some other fees that you should be aware of as well. For instance, this credit card has a balance transfer fee of 5% with a $5 minimum fee. This is not too terrible but it may make it that you will want to avoid transferring a balance to the credit card. In all honesty, the APR is not good enough to make balance transfers a worthwhile option so you’re best off forgetting about this one. On the good side of things, you will not have to pay any foreign transaction fees for this credit card. Not having to pay foreign transaction fees makes sense being that this is a British Airways credit card. Most of the people who use this credit card will be traveling internationally from time to time. Even so, it is also good to be able to avoid those pesky foreign transaction fees. It makes it more practical to use your credit card while abroad and that is very important when you are traveling regularly. As you might expect, this credit card is going to have various positive features and benefits for you to enjoy. One thing that should be pointed out at the start is the introductory offer. This offer makes it possible to earn even more bonus points during the first year as a cardholder. For every $1 spent, you will be able to earn 4 points up to 120,000 points. It is pretty much getting free points for just using your card as normal and you do not have to meet any special criteria to get these points. It is also worth noting that this credit card refers to its bonus points as “Avios”. We will simply be referring to the bonus points as points in the article but you need to know the type of language that they use when you sign up. It is actually possible to rack up points pretty easily with this card when you use it often. It is very customer-friendly in this way and we will be discussing the rewards program options in detail later on. As far as special benefits go, this card does have a few nice things to offer. One good benefit is that you have the potential to earn a “travel together” ticket. If you spend $30,000 on your credit card in a calendar year, then you will be able to earn a free flight for one other person. This flight can even be redeemed in first class, making it a pretty good benefit. You need to pay the taxes and fees for this flight and the flight needs to originate in the U.S. as well as return there. You will also gain access to car rental insurance for being a cardholder. This is always a good perk to have when you are a regular traveler. It can help to mitigate some of your expenses when it comes to renting cars. This insurance will also be very useful in the event that something does happen to your rental car. Another interesting perk that you can enjoy access to a concierge service. Having access to a good concierge service can make your travel experience that much nicer. A concierge service can act as a facilitator for you, helping you to book reservations as well as helping you in other ways. It is not something that everyone will use all of the time but it can be quite beneficial. The rewards program for this credit card is where you will really start to be able to see if this is going to be right for you. This credit card will allow you to earn three bonus points for every $1 spent on British Airways, Iberia, and Aer Lingus. You will also be able to receive one bonus point for every $1 spent on all other purchases. This is a pretty good rewards rate overall and it could be very beneficial to you if you spend enough money on airfare from these specific airlines. It should also be reiterated that you will earn an increased number of bonus points per $1 spent for the first 12 months of being a cardholder. This is the sign-up bonus for the credit card and it can really wind up paying off if you buy a lot of airplane tickets. Those who travel very regularly may even find that this is one of the most lucrative sign-up bonuses that you will encounter. Of course, mileage will vary on how useful this bonus is due to everyone having different personal spending habits. When it comes to redeeming your earned rewards points, things will be good for some and less than stellar for others. You can redeem your earned bonus points for travel on airlines that are part of the Oneworld alliance. There are also some other partner airlines that will increase the number of options that are available to you. The easiest way to use the rewards points is usually to book the travel through the British Airways website. 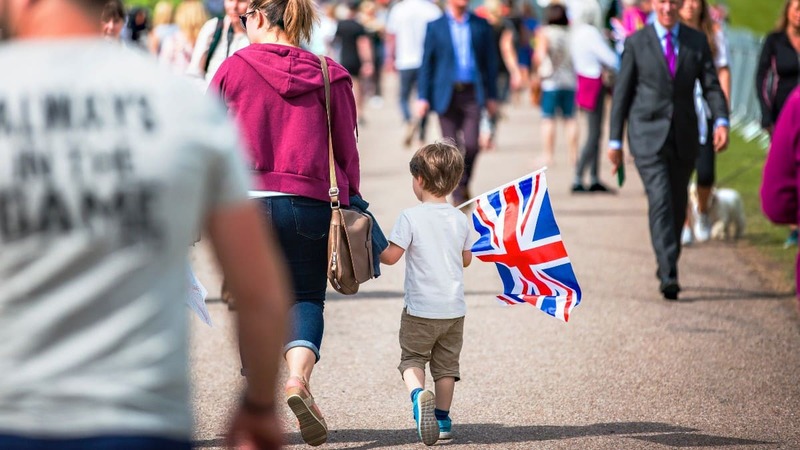 Flying domestically using British Airways Avios is one of the best redemption options around. By booking flights on British Airways partners, American Airlines and Alaska Airlines, you can get reward flights at low rates. The options for international flights are also good and you will be able to use them in so many different ways. Once you learn how to use your British Airways points (Avios) for domestic flights, you’ll be booking with BA very often. My wife and I typically use these points to travel from the west coast to Hawaii for 25,000 points round trip. It’s one of the best ways to redeem points these days. Booking flights with British Airways is easy, even though you may need to call to book. Their reward chart is distance based and flights cost the following amount of points per mile. The lack of foreign transaction fees is a really important thing for this credit card. 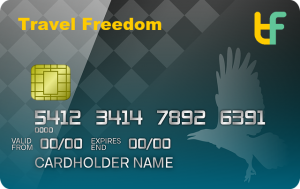 For the most part, people who use this card are going to be traveling abroad quite a bit. Being able to use the credit card outside of the country without having to worry about fees is a must. This might be a bit of an expected thing for a card that is meant to be used internationally but it is still a positive thing that is worth touting. Also, this card has very good rewards earning rates overall. If you want to be able to accrue bonus points at a good rate, then you will likely love using this card. Those who spend a lot of money on airfare each year will have the chance to really rack up the points. This could be a constant source of bonus rewards for you and should help to offset some of your travel expenses. The ability to earn a free companion ticket for a flight is very nice too. You can even redeem this free companion ticket for a first-class flight, meaning that this could potentially be worth thousands of dollars. It is a very good bonus that will require you to spend $30,000 in a calendar year. If you spend a lot on travel, you just might be able to take advantage of this. The sign-up bonus for this credit card is potentially very lucrative as well. You will be earning extra bonus points on your first $30,000 spent in the first 12 months. This could wind up adding up to a lot of extra points and you can use the points as you see fit. It could be a fantastic sign-up bonus if you are a big spender when it comes to airfare. There are noticeable airline surcharges. Domestic flight options are limited. The credit card is missing some benefits that you may expect. One of the biggest problems that people will have with this credit card is that the bonus points have the potential to expire. These bonus points will expire if you do not make a purchase, collect points, spend points, or share points within a 36-month period. Granted, this will not be an issue for most people. You would have to ignore the credit card for a long time in order to allow the points to expire but it is still something that you need to know about before signing up. You also need to know about the fact that there are noticeable airline surcharges when you use this card. For instance, the carrier surcharges that you will see when you redeem certain award tickets will be exceptionally high. This can actually increase the cost of a ticket by several hundred dollars and winds up devaluing your earned rewards points quite a bit. Just know that the points for this card may not have the highest value when compared to the points of other comparable cards. The domestic flight options are always going to be very limited with this credit card as well. You can transfer reward points to domestic airlines such as American Airlines and Alaska Airlines. This limits the potential of this card for people who want robust domestic travel options. It is meant more as an international flight credit card, judging by the way things are set up. Just know that domestic flight options will be narrower in scope than the international ones when you go to redeem points. It should also be said that this credit card is missing some benefits that you may expect from a card like this. You will not be getting any free checked bags for being a cardholder or airline fee credits. Some people will see the benefits of this card and think that it is very lacking. It partially depends on your own expectations but it is odd that many standard airline credit card benefits are not present here. You will have to possess an excellent credit score just to be approved for this credit card. Scores in the very good range may also have a chance but excellent credit scores are highly recommended. A score of 690 or higher will make it possible to be approved for this card. It is smart to check your credit score before applying to avoid any disappointment. This credit card is going to appeal mostly to people who have to travel internationally sometimes. If you are not going to be using British Airways, then obviously this credit card is not going to be a worthwhile option for you. If you have to travel to Europe on business or to visit family, then this card may be very worthwhile. It can help you to earn rewards for making your normal airfare purchases. Cards such as this also appeal to people who spend a ton of money airfare each year. If you are able to spend $30,000 on airfare in a calendar year, you will even be able to earn that free companion ticket for one flight. Those who travel all the time will be able to get the most value out of this credit card. It can be worthwhile for those who travel a bit less frequently too but it’s best for regular travelers. 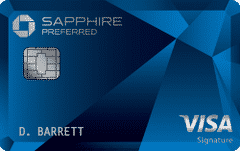 The Chase Sapphire Preferred Card is a highly recommended alternative to this card. It has the same annual fee of $95 and it offers you many great options. This card allows you to earn 2X rewards points on all travel and dining purchases. It does not limit you to certain airlines and the points are easy to transfer to various partner programs. Overall, this card is much more robust in its offerings in comparison to the British Airways credit card. 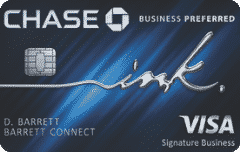 Most people will be better off with the Chase Sapphire Preferred Card due to its high rewards potential and overall ease of use. 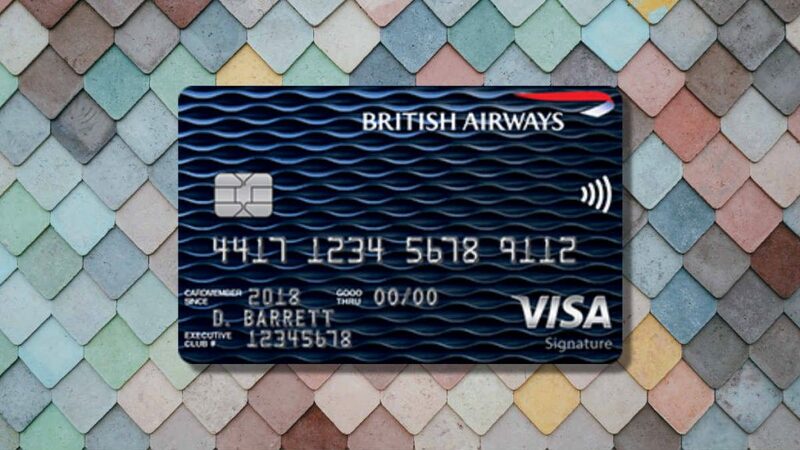 If you travel with British Airways all the time, then you may benefit from using a card that is specific to that airline. Just weigh your options and see which one will help you to profit more. The British Airways credit card is going to be a very solid option for many people to consider. So long as you travel with British Airways often enough, this card will allow you to earn many points. It has some good features and many positive benefits. The card is lacking in some areas but it does make up for its flaws in other areas. This is a credit card that will work great for some people while being only okay for others. It really comes down to how often you travel internationally and whether you are committed to flying with British Airlines. Make sure that you will be able to use this credit card to its full potential before you decide to apply. If you can use this credit card right, then you should have a good experience overall.